There’s a contradiction at the heart of science fiction. Science fiction tends to celebrate the engineers and other techies who are its main fans. But there are two conflicting ways to do this. One is to fill a story with credible technical details, details that matter to the plot, and celebrate characters who manage this detail well. The other approach is to present tech as the main cause of an impressive future world, and of big pivotal events in that world. The conflict comes from it being hard to give credible technical details about an impressive future world, as we don’t know much about future tech. One can give lots of detail about current tech, but people aren’t very impressed with the world they live in (though they should be). Or one can make up detail about future tech, but that detail isn’t very credible. A clever way to mitigate this conflict is to introduce one dramatic new tech, and then leave all other tech the same. (Vinge gave a classic example.) Here, readers can be impressed by how big a difference one new tech could make, and yet still revel in heroes who win in part by mastering familiar tech detail. Also, people like me who like to think about the social implications of tech can enjoy a relatively manageable task: guess how one big new tech would change an otherwise familiar world. Earth in 2064 is politically corrupt and in economic decline. The Long Depression has dragged on for 56 years, and the Bureau of Sustainable Research is making sure that no new technologies disrupt the planned economy. Ten years ago a band of malcontents, dreamers, and libertarian radicals used a privately developed anti-gravity drive to equip obsolete and rusting sea-going cargo ships – and flew them to the moon.There, using real world tunnel-boring-machines and earth-moving equipment, they’ve built their own retreat. The one big new tech here is anti-gravity, made cheaply from ordinary materials and constructible by ordinary people with common tools. One team figures it out, and for a long time no other team has any idea how to do it, or any remotely similar tech, and no one tries to improve it; it just is. Attaching antigrav devices to simple refitted ocean-going ships, our heroes travel to the moon, set up a colony, and create a smuggling ring to transport people and stuff to there. Aside from those magic antigravity devices, these books are choc full of technical mastery of familiar tech not much beyond our level, like tunnel diggers, guns, space suits, bikes, rovers, crypto signatures, and computers software. These are shown to have awkward gritty tradeoffs, like most real tech does. Alas, Corcoran messes this up a bit by adding two more magic techs: one superintelligent AI, and a few dozen smarter-than-human dogs. Oh and the same small group is implausibly responsible for saving all three magic techs from destruction. As with antigravity, in each case one team figures it out, no other team has any remotely similar tech, and no one tries to improve them. But these don’t actually matter that much to the story, and I can hope they will be cut if/when this is made into a movie. The story begins roughly a decade after the moon colony started, when it has one hundred thousand or a million residents. (I heard conflicting figures at different points.) Compared to Earth folk, colonists are shown as enjoying as much product variety, and a higher standard of living. This is attributed to their lower regulation. While Earth powers dislike the colony, they are depicted at first as being only rarely able to find and stop smugglers. But a year later, when thousands of ships try to fly to the moon all at once from thousands of secret locations around the planet, Earth powers are depicted as being able to find and shoot down 90% of them. Even though this should be harder when thousands fly at once. This change is never explained. Even given the advantage of a freer economy, I find it pretty implausible that a colony could be built this big and fast with this level of variety and wealth, all with no funding beyond what colonists can carry. The moon is a long way from Earth, and it is a much harsher environment. For example, while colonists are said to have their own chip industry to avoid regulation embedded in Earth chips, the real chip industry has huge economies of scale that make it quite hard to serve only one million customers. After they acquire antigrav tech, Earth powers go to war with the moon. As the Earth’s economy is roughly ten thousand times larger that the moon’s, without a huge tech advantage is a mystery why anyone thinks the moon has any chance whatsoever to win this war. The biggest blunder, however, is that no one in the book imagines using antigrav tech on Earth. But if the cost to ship stuff to the moon using antigrav isn’t crazy high, then antigravity must make it far cheaper to ship stuff around on Earth. Antigrav could also make tall buildings cheaper, allowing much denser city centers. The profits to be gained from these applications seem far larger than from smuggling stuff to a small poor moon colony. So even if we ignore the AI and smart dogs, this still isn’t a competent extrapolation of what happens if we add cheap antigravity to a world like ours. Which is too bad; that would be an interesting scenario to explore. Added 5:30p: In the book, antigrav is only used to smuggle stuff to/from moon, until it is used to send armies to the moon. But demand for smuggling should be far larger between places on Earth. In the book thousands of ordinary people are seen willing to make their own antigrav devices to migrate to moon, But a larger number should be making such devices to smuggle stuff around on Earth. Those physicists go too far. They say conservation of momentum applies exactly at all times to absolutely everything in the universe. And yet they can’t predict whether I will raise my right or left hand next. Clearly there is more going on than their theories can explain. They should talk less and read more literature. Maybe then they’d stop saying immoral things like Earth’s energy is finite. Can Economists and Humanists Ever Be Friends? One discipline reduces behavior to elegantly simple rules; the other wallows in our full, complex particularity. What can they learn from each other? The issue here is one of overreach: taking an argument that has worthwhile applications and extending it further than it usefully goes. Our motives are often not what they seem: true. This explains everything: not true. … Erving Goffman’s “The Presentation of Self in Everyday Life,” or … Pierre Bourdieu’s masterpiece “Distinction” … are rich and complicated texts, which show how rich and complicated human difference can be. The focus on signalling and unconscious motives in “The Elephant in the Brain,” however, goes the other way: it reduces complex, diverse behavior to simple rules. This intellectual overextension is often found in economics, as Gary Saul Morson and Morton Schapiro explain in their wonderful book “Cents and Sensibility: What Economics Can Learn from the Humanities” (Princeton). … Economists tend to be hedgehogs, forever on the search for a single, unifying explanation of complex phenomena. They love to look at a huge, complicated mass of human behavior and reduce it to an equation: the supply-and-demand curves; the Phillips curve … or mb=mc. … These are powerful tools, which can be taken too far. Many of the details of Hanson and Simler’s thesis are persuasive, and the idea of an “introspective taboo” that prevents us from telling the truth to ourselves about our motives is worth contemplating. … The writers argue that the purpose of medicine is as often to signal concern as it is to cure disease. They propose that the purpose of religion is as often to enhance feelings of community as it is to enact transcendental beliefs. … Some of their most provocative ideas are in the area of education, which they believe is a form of domestication. … Having watched one son go all the way through secondary school, and with another who still has three years to go, I found that account painfully close to the reality of what modern schooling is like. “The Elephant in the Brain”… has moments of laughable wrongness. We’re told, “Maya Angelou … managed not to woo Bill Clinton with her poetry but rather to impress him—so much so that he invited her to perform at his presidential inauguration in 1993.” The idea that Maya Angelou’s career amounts to nothing more than a writer shaking her tail feathers to attract the attention of a dominant male is not just misleading; it’s actively embarrassing. More generally, Hanson and Simler’s emphasis on signalling and unconscious motives suggests that the most important part of our actions is the motives themselves, rather than the things we achieve. … The last sentence of the book makes the point that “we may be competitive social animals, self-interested and self-deceived, but we cooperated our way to the god-damned moon.” With that one observation, acknowledging that the consequences of our actions are more important than our motives, the argument of the book implodes. We emphasize “signalling and unconscious motives” because is the topic of our book. We don’t ever say motives are the most important part of our actions, and as he notes, in our conclusion we suggest the opposite. Just as a book on auto repair doesn’t automatically claim auto repair to be the most important thing in the world, a book on hidden motives needn’t claim motives are the most important aspect of our lives. And we don’t. Wait, though—surely signalling doesn’t account for everything? Hanson … was asked to give a “short, quick and dirty” answer to the question of how much human behavior “ultimately can be traced back to some kind of signalling.” His answer: “In a rich society like ours, well over ninety per cent.” … That made me laugh, and also shake my head. … There is something thrilling about the intellectual audacity of thinking that you can explain ninety per cent of behavior in a society with one mental tool. That quote is not from our book, and is from a context where you shouldn’t expect it to be easy to see exactly what was meant. And saying that a signaling motive is on average one of the strongest (if often unconscious) motives in an area of life is to say that this motive importantly shapes some key patterns of behavior in this area of life; it is not remotely to claim that this fact explains most of details of human behavior in this area! So shaping key patterns in 90% of areas explains far less than 90% of all behavior details. Saying that signaling is an important motive doesn’t at all say that human behavior is “nothing more” than signaling. Other motives contribute, we vary in how honest and conscious we are of each motive, there are usually a great many ways to signal any given thing in any given context, and many different cultural equilibria can coordinate individual behavior. There remains plenty of room for complexity, as people like Goffman and Bourdieu illustrate. Saying that an abstraction is important doesn’t say that the things to which it applies are “nothing but” that abstraction. For example, conservation of momentum applies to all physical behavior, yet it explains only a tiny fraction of the variance in behavior of physical objects. Natural selection applies to all species, yet most species details must be explained in other ways. If most roads try to help people get from points A to B, that simple fact is far from sufficient to predict where all the roads are. The fact that a piece of computer code is designed help people navigate roads explains only a tiny fraction of which characters are where in the code. Financial accounting applies to nearly 100% of firms, yet it explains only a small fraction of firm behavior. All people need air and food to survive, and will have a finite lifespan, and yet these facts explain only a tiny fraction of their behavior. Look, averaging over many people and contexts there must be some strongest motive overall. Economists might be wrong about what that is, and our book might be wrong. But it isn’t overreach or oversimplification to make a tentative guess about it, and knowing that strongest motive won’t let you explain most details of human behavior. 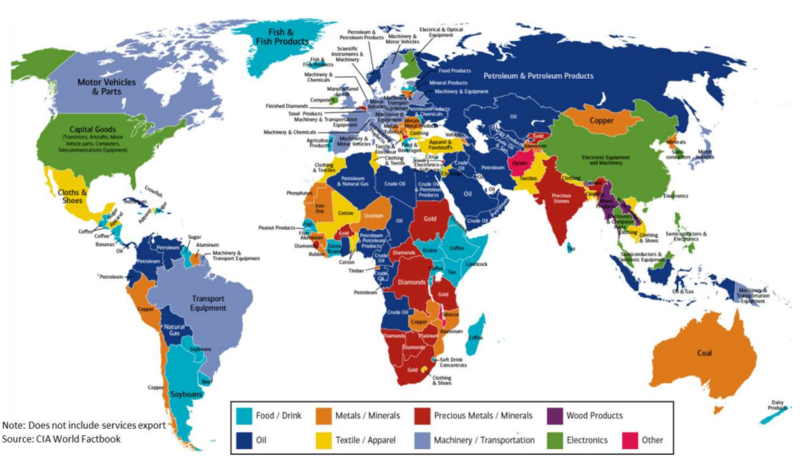 As an analogy, consider that every nation has a largest export commodity. Knowing this commodity will help you understand something about this nation, but it isn’t remotely reasonable to say that a nation is “nothing more” than its largest export commodity, nor to think this fact will explain most details of behavior in this nation. In 1997, I got my Ph.D. in social science from Caltech. The topic that drew me into grad school, and much of what I studied, was mechanism and institution design: how to redesign social practices and institutions. Economists and related scholars know a lot about this, much of which is useful for reforming many areas of life. Alas, the world shows little interest in these reforms, and I’ve offered our book The Elephant in the Brain: Hidden Motives in Everyday Life, as a partial explanation: most reforms are designed to give us more of what we say we want, and at some level we know we really want something else. While social design scholars would do better to work more on satisfying hidden motives, there’s still much useful in what they’ve already learned. Oddly, most people who say they are interested in radical social change don’t study this literature much, and people in this area don’t much consider radical change. Which seems a shame; these tools are a good foundation for such efforts, and the topic of radical change has long attracted wide interest. I’ve tried to apply these tools to consider big change, such as with my futarchy proposal. The book reveals bold new ways to organize markets for the good of everyone. It shows how the emancipatory force of genuinely open, free, and competitive markets can reawaken the dormant nineteenth-century spirit of liberal reform and lead to greater equality, prosperity, and cooperation. … Only by radically expanding the scope of markets can we reduce inequality, restore robust economic growth, and resolve political conflicts. But to do that, we must replace our most sacred institutions with truly free and open competition—Radical Markets shows how. Back in 1977, I started out college in engineering, then switched to physics, where I got a BS and MS. After that I spent nine years in computer research, at Lockheed and NASA. In physics, engineering, and software I saw that people are quite eager to find better designs, and that the world often pays a lot for them. As a result, it is usually quite hard to find even modesty better designs, at least for devices and mechanisms with modest switching costs. I naively assumed that the world was just as eager for better social designs. But in fact, the world shows far less interest in better designs for social arrangements. Which, I should have realized, is a better explanation than my unusual genius for why it seemed so easy to find better social designs. But that raises a fundamental puzzle: why does the world seem so much less interested in social innovation, relative to innovation in physical and software devices and systems? Today is the official release date for our book The Elephant in the Brain: Hidden Motives in Everyday Life, and I can confirm that a copy sits on the shelf at my local B&N bookstore (across the aisle from where sits Age of Em, still on the shelf after 18 months). A Kindle version can be had for $14, and the hardback for $26 at Alibris. On press coverage, back in July Publishers Weekly had a paragraph on it, the Boston Globe did an interview of me back then that they just released, Vice interviewed me recently so I expect that out soon, and I’m told that a Wall Street Journal review is forthcoming. Amazon now has 5 reviews, Goodreads has 7, and 3 reviews have appeared on blogs. And I’ve done 6 podcasts. Our main goal is to demonstrate that hidden motives are common and important— that they’re more than a minor correction to the alternate theory that people mostly do things for the reasons that they give. For this purpose, we don’t need to be right about everything. In fact, we expect most readers to buy only about 70 percent of what we’re selling— and we’re OK with that. Body Language, Laughter, Conversation, Consumption, Art, Charity, Education, Medicine, Religion, Politics. But there are many more areas of life that we didn’t consider, and an awful lot of them are also plausible candidates for hidden motives. So if you have ambitions to be a social analyst who discovers important things about the social world, this seems to be a great opportunity for you. Go take some other area of life full of puzzling behaviors, and see if an alternate account of typical motives could better make sense of those puzzles. We’ve already shown you how with our ten examples. To join our revolution, you just have to do the additional work in one more area. There’s social analysis gold in them thar hills. With your help, our ten examples could expand to twenty or more. And then we together would have pioneered a new understanding of human behavior. Added 3 Jan: See my coauthor Kevin Simler’s “Ten Reasons To Read” our book. No, people eat food because they are hungry, and drink water because they are thirsty. We don’t need abstract concepts like nutrition and dehydration to explain something so elemental as following our authentic feelings and desires. Yes hunger and thirst are direct proximate causes of eating and drinking. But we are often interested in finding more distal explanations of such proximate causes. So almost no one objects to the nutrition and dehydration explanations of eating and drinking. If you are high status, others care about your views on wide range of topics. If low status, hard to get them to listen even on the topics on which you are most expert. So folks often express opinions on many topics, to try to seem high status. Yes, people don’t need to consciously force themselves to express opinions on many topics. That habit comes quite naturally. Even so, we might want to explain that habit in terms of more basic distal forces. I’m an economics professor, and the vast majority of economic papers and books that offer explanations for human behaviors don’t bother to distinguish if their explanations are mediated by conscious intentions or not. (In fact, most papers on any topic don’t take a stance on most possible distinctions related to their topic.) Economics are in fact famously wary (too wary I’d say) of survey data, as they fear conscious thoughts can mislead about economic behaviors. Yet I’ve had even economics colleagues tell me that I should take more care, when I point out possible signaling explanations, to say if I am claiming that such signaling effects are consciously intended. But why would it be more important to distinguish conscious intentions in this context, compared to the rest of economics and social science? My best guess is that what is going on here is that our social norms disapprove mildly of consciously intended signaling. Just as we aren’t supposed to brag, we also aren’t supposed to do things on purpose to make ourselves look good. It is okay to look good, but only as a side effect of doing things for other reasons. And as we usually claim other reasons for these behaviors, if we are actually doing them for signaling reasons we could also be accused of lying, which is also a norm violation. Thus many see my signaling explanation proposals as accusing them personally of norm violations. At which point, they become vastly more interested in defending themselves against this accusation than in evaluating my general claims about human behavior. Perhaps if I were a higher status professor publishing in a prestigious journal, they might be reluctant to publicly challenge my claimed focus on distal explanations of general behavior patterns. But for mere tweets or blog posts by someone like me, they feel quite entitled to read me as accusing them of being bad people, unless I explicitly say otherwise. (And perhaps even then.) Sigh. For the record, the degree of conscious intent of any behavior is a mildly interesting facet, but I’m less interested in it than are most people. This is in part because I’m inclined to give people less of a moral or legal pass on the harms resulting from behaviors if people do not consciously intend such consequences. It is just too easy for people to not notice such consequences, when they find it in their interest to not notice. I’ll summarize this as saying we face roughly a one in 10,000 chance per year of most all sunlight on Earth being blocked for 5 to 10 years. Which accumulates to become a 1% chance per century. This is about as big as your one in 9000 personal chance each year of dying in a car accident, or your one in 7500 chance of dying from poisoining. We treat both of these other risks as nontrivial, and put substantial efforts into reducing and mitigating such risks, as we also do for many much smaller risks, such as dying from guns, fire, drowning, or plane crashes. So this risk of losing sunlight for 5-10 years seems well worth reducing or mitigating, if possible. Even in the best case, the world has only enough stored food to feed everyone for about a year. If the population then gradually declined due to cannibalism of the living, the population falls in half every month, and we’d all be dead in a few years. To save your family by storing ten years of food, you not only have to spend a huge sum now, you’d have to stay very well hidden or defended. Just not gonna happen. Many people presume that as soon as everyone hears about a big problem like this, all social institutions immediately collapse and everyone retreats to their compound to fight a war of all against all, perhaps organized via local Mad-Max-style warlords. But in places where this happens, everyone dies, or moves to places where something else happens. Many take this as an opportunity to renew their favorite debate, on the right roles for government in society. But while there are clearly many strong roles for government to play in such a situation, it seems unlikely that government can smoothly step into all of the roles required here. Instead, we need an effective industry, to make food, collect its inputs, allocate its workers, and distribute its products. And we need to prepare enough to allow a smooth transition in a crisis; waiting until after the sunlights goes to try to plan this probably ends badly. Thus while there are important technical aspects of this problem, the core of the problem is social: how to preserve functioning social institutions in a crisis. So I call to social scientist superheroes: we light the “bat signal”, and call on you to apply your superpowers. How can we keep enough peace to make enough food, so we don’t all starve, if Earth loses sunlight for a decade? To learn more on making food without sunlight, see ALLFED. I’ve talked on my book Age of Em 79 times so far (#80 comes Saturday in Pisa, Italy). As it relies a lot on economics, while I mostly talk to non-econ audiences, I’ve been exposed a lot to how ordinary people react to economics. As I posted recently, one big thing I see a low confidence in any sort of social science to say anything generalizable about anything. If you asked most people today if they want a future like this, they’d say no. So how could it happen if most people don’t like it? Their model seems to be that social outcomes are a weighted average of individual desires. If so, an outcome most people dislike just can’t happen. If you ask for a mechanism the most common choice is revolution: if there was some feature of the world that most people didn’t like, well of course they’d have a revolution to fix that. And then the world would be fixed. And not just small things: changes as big as the industrial or farming revolutions just wouldn’t happen if most people didn’t want them. Now people seem to be vaguely aware that revolutions are hard and rare, that many attempted revolutions have failed, or succeeded but failed to achieve its stated aims, and that the world today has many features that majorities dislike. The world today has even more features where majorities feel unsure, not knowing what to think, because things are so complicated that it is hard to understand the feasible options and action consequences. Yet people seem to hold the future to a different standard, especially the far future. Near-far theory (aka construal level theory) offers a plausible explanation for this different attitude toward the future. As we know a lot less detail about the future, we see it in a far mode, wherein we are more confident in our theories, see fewer relevant distinctions, and emphasize basic moral values relative to practical constraints. Even if the world around us seems too complex to understand and evaluate, issues and choices seem simpler and clearer regarding a distant future where in fact we can barely envision its outlines. But of course coordination is actually very hard. Not only do most of us only dimly understand the actual range of options and consequences of our actions today, even when we do understand we find it hard to coordinate to achieve such outcomes. It is easier to act locally to achieve our local ends, but the net effect of local actions can result in net outcomes that most of us dislike. Coordination requires that we manage large organizations which are often weak, random, expensive, and out of control. This seems especially true regarding the consequences of new tech. So far in history tech has mostly appeared whenever someone somewhere has wanted it enough, regardless of what the rest of the world thought. Mostly, no one has been driving the tech train. Sometimes we like the result, and sometimes we don’t. But no one rules the world, so these results mostly just happen either way. Many critics of Age of Em are critics of social science; they suggest that even though we might be able to use today’s physics or computer science to guess at futures, social science is far less useful. While Hanson’s treatise is engaging and interesting, I confess that personally I simply do not buy into it. Not only have I read too much SF to think that em life will be as prescriptive as Hanson portrays, but coming from the biological sciences, I am acutely aware of the frailties of the human brain hence mind (on a psychobiological basis). Furthermore, I am uncomfortable in the way that the social science works Hanson draws upon to support his em conclusions: it is an apples and oranges thing, I do not think that they can readily translate from one to the other; from real life sociobiological constructs to, in effect, machine code. There is much we simply do not know about this, as yet, untrodden land glimpsed from afar. The book is simultaneously breathtaking and tedious. The author tries to work out every aspect of em society: the structure of cities, economics, law, social structure, love, trust, governance, religion, customs, and more. Much of this strikes me as highly speculative, especially since we don’t know anything about the actual experience of living as an em or how we will make the transition from our present society to one dominated by ems. I don’t agree with all of Hanson’s conclusions, in particular he expects a certain rationality from ems that we don’t often see in humans, and if ems are just human emulations, they may not want a short life and long retirement. Perhaps this book isn’t about ems and robots at all, but about Hanson’s vision of human-like creatures as true economic beings as he espouses in his blog. Not sure it is a world I’d like to be a part of, but it’s a fascinating world nevertheless. My second major objection: Your pervasive assumption that em will remain largely static in their overall structure and function. I think this assumption is at least as unlikely as the em-before-AI assumption. Imagine .. you have the detailed knowledge of your own mind, the tools to modify it, and the ability to generate millions of copies to try out various modifications. .. you do analyze this possibility, you consider some options but in the end you still assume ems will be just like us. Of course, if ems are not like us, then a lot of the detailed sociological research produced on humans would not be very applicable to their world and the book would have to be shorter, but then it might be a better one. In one chapter you mention that lesbian women make more money and therefore lesbian ems might make money as well. This comes at the end of many levels of suspension of disbelief, making the sociology/gender/psychology chapters quite exhausting. Robin’s scenario precludes some of these concerns by being very specific to a single possibility: that we have the technology to copy off any single particular human brain, we don’t understand them well enough to modify them arbitrarily. Thus they have to operated in a virtual reality that is reasonably close to a simulated physical world. There is a good reason for doing it this way, of course: that’s the only uploading scenario in which all the social science studies and papers and results and so forth can be assumed to still apply. Our economic theories apply reasonably well not only to other classes and regions within rich nations today, but also to other very different nations today and to people and places thousands of years ago. Furthermore, formal economic models apply widely even though quite alien creatures usually populate them, that is, selfish rational strategic agents who never forget or make mistakes. If economic theory built using such agents can apply to us today, it can plausibly apply to future ems. The human brain is a very large complex legacy system whose designer did not put a priority on making it easy to understand, modify, or redesign. That should greatly limit the rate at which big useful redesign is possible.